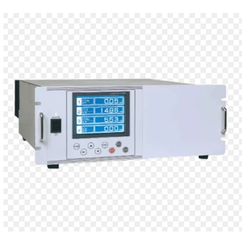 We are a leading Manufacturer & Exporter of Gas Analysers such as Ammonia Gas Analysers, Carbon Dioxide Gas Analysers and Industrial Gas Analysers from India. We are offering Ammonia Gas Analysers to our valued customers, designed and manufactured as per the industry norms, under our expert guidance. Used specifically for analyzing ammonia gas, these instruments have gained huge appreciation in the market base characterized for their accurate and trouble-free performance. These products have been designed with the purpose of offering absolute solutions for ammonia gas analysis. 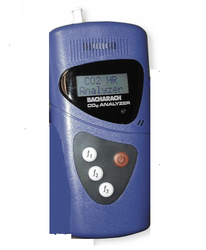 Backed by our rich experience and team of innovative personnel, we have been broadening our offered range comprising of Carbon Dioxide Gas Analysers. These gas analyzers are our valued offerings as designed specifically to cater to the diversified industrial needs of the industry. Our customers are assured trouble-free experience on account of using these equipment. Available at market leading prices, these gas analyzers provide accurate performance. We are offering a huge quality range of Industrial Gas Analysers that finds application in measuring gas flow rate specially for G.C. & Analytical Instrument. Easy to operate, these gas flow meters are free from operational and human errors. With accurate construction, our range of gas flow meters is highly durable and is available at industry leading prices. We offer Gas Flow meter that finds application in measuring gas flow rate specially for G.C. & Analytical Instrument. Easy to operate, these gas flow meters are free from operational and human errors. With accurate construction, our range of gas flow meters is highly durable and is available at industry leading prices. we have in-store a wide range of Pressure Regulation System and control products, which offers efficient operation of gas control system. The product range offered by us is extensively used in pressure regulation, shut off and control of gas. Our product range is in high demand for it is specially designed to ensure safe and easy operation of the gas control station.